Sounds like we are reading your mind? Or do you already wear a slow and know the answers!? 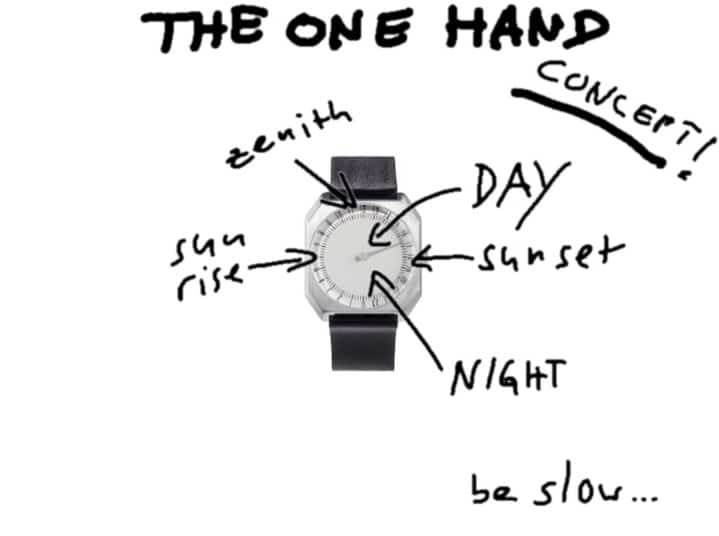 At least these were some of the questions regarding the one hand concept we have received over the last couple of weeks and it seems that this topic is of interest for you… So, let’s answer these questions and share some background information of the single hand concept of slow! To start off with: It represents the original way of showing the time! The first time tellers were sun clocks and they obviously had only one “hand” that turned once every 24 hours (if there was sun:)). The first mechanical watches also had one hand. Actually the minute hand was added much later when people felt it was necessary to be more punctual and precise. That might be valid for plane schedules or TV stations; however we much prefer the idea of a watch giving you a good indication of the progress of your day rather than constantly reminding you of time pressure. But of course the watch needs to be fully functional! With a little bit of practice it’s no problem to tell the time +- 1 or 2 minutes. Piece of cake! Another very natural component of this concept is that the hand actually follows the movement of the sun. It rises on the left at 6 am, it is at the zenith at 12 o’clock and it ends in a beautiful sun set at around 6 pm. Smart hah? 😉 Check out our scientific state-of-the-art illustration!! In addition, since the one hand turns around the dial once in 24 hours (a FULL day) instead of 12 hours on a normal watch, it moves at only half the speed. This makes the watch truly slow! Finally, the single hand concept also represents the idea of reduction to the really essential things. If you only need one hand to show the time, why do two or even more? Simplicity is key! And that’s basically what slow is all about: Focusing on what is really important in your life. Living every moment rather than chasing every minute.